In the market for a powerful pickup truck that’s also efficient? Look no further than the RAM 1500 with Ecodiesel technology. This option is the only half-ton pickup with a diesel engine in the market. You won’t have to sacrifice on power or performance, either. Browse our available inventory below, and contact us today with any questions! 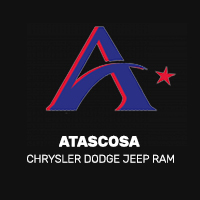 Visit our Chrysler, Dodge, Jeep, Ram dealership near Floresville today to give one of our Ecodiesel models a test drive. You can even get pre-approved for financing beforehand if you’ve already found that perfect model. Stop by today or give us a call at (830) 399-4456 and we’ll get you started on your new RAM Ecodiesel purchase!